Mr. Regular and the Regular Car crew have a special treat this week for Ford history buffs: a 1965 Ford Falcon 289. It’s part history lesson and all Regular Car Reviews. 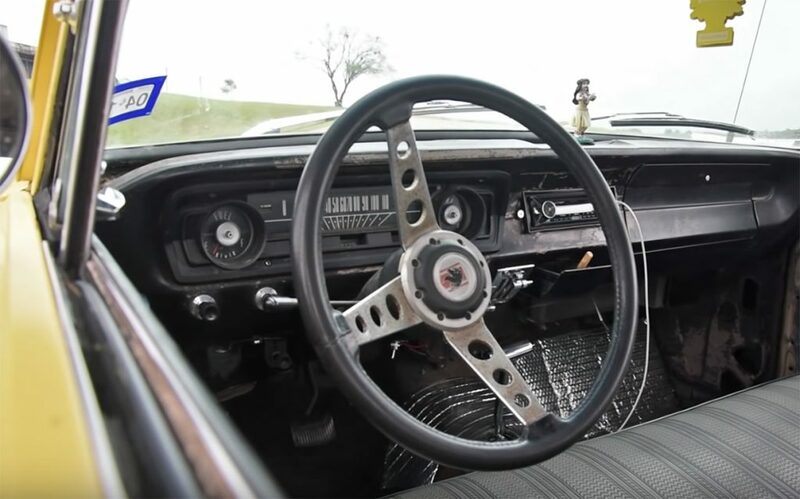 This episode looks at a second-generation 1965 Ford Falcon, which was dubbed “the anti-Mustang, an in-house alternative because it’s the same car,” according to Mr. Regular, the anonymous host of the popular YouTube show. The video recommends buying the second-generation Falcon because it’s going to be less expensive than a first-generation Falcon. Why so? Because more second-generation Falcons exist and it’s easier to swap in Mustang parts into this generation, too. The model in the video has a swapped 289 V8 engine and a swapped automatic transmission swap, which raises the question on the video (and in our mind), who swaps a manual for the C4 three-speed automatic? The entire drivetrain is swapped out of a 1966 Ford Mustang, which was also featured in a Regular Car Review episode. The engine makes 195 horsepower at 4,400 rpm and 285 pound-feet of torque at 2,200 rpm. It’s compression is 8.7 to 1. 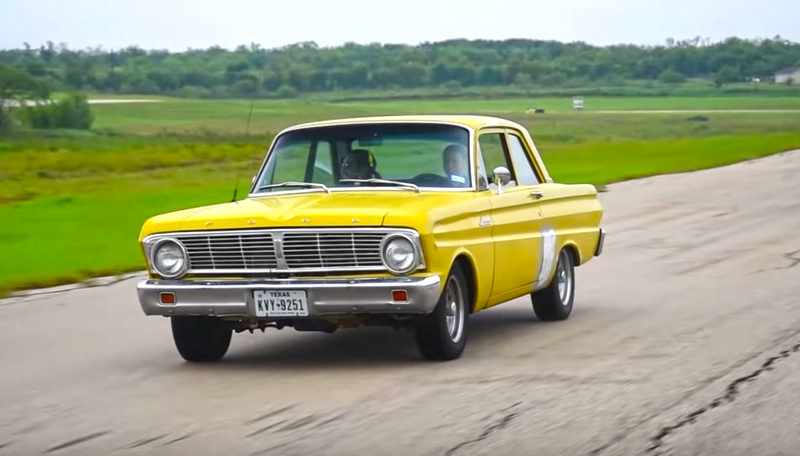 “This 1965 Ford Falcon is dangerous and it wants to kill you,” he explains. The back end wants to come around, the steering snaps back to center before you’re ready and the suspension makes new noises every lap. He compares the exhaust note to an “instigating drinking buddy” who tells you another round won’t hurt. In his opinion, the oil crisis, emissions and safety equipment ended ’60s designs shortly after the decade finished. And with the decade’s end so went free flowing exhausts and happy hour carburetors. Then he does get a little maudlin about how life changed because of the Vietnam War and the assassinations of politicians. “The ‘60s were a time when anything was possible,” he offers as a means of explaining why we like the cars so much. He says ‘60s cars are in some way historic art from that period. Now, he says, Falcons are rarer than classic Mustangs but they are also less expensive. 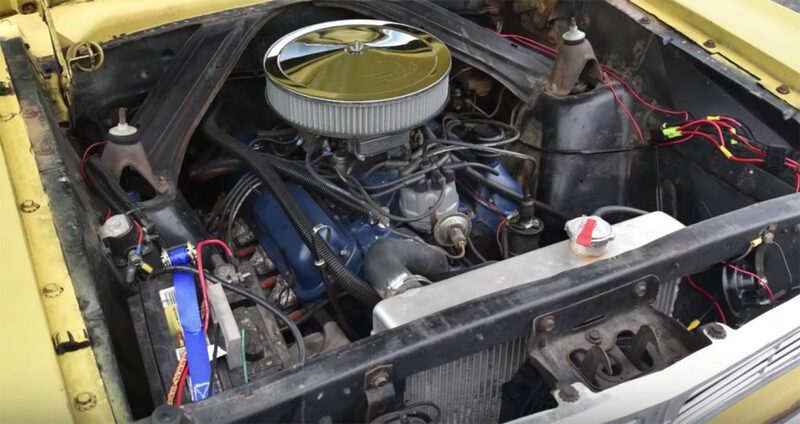 He says a second-gen completely running Falcon could be had for $8,000. Yet, people would rather have the Mustang. However, owning one (as he does) suggests you are more an automotive enthusiast than someone who just likes muscle cars.